It provides retirement, investment, tax and personal finance videos and articles that you can listen to on-the-go. Access to FB, LinkedIn, events, webinars, team members & much more. 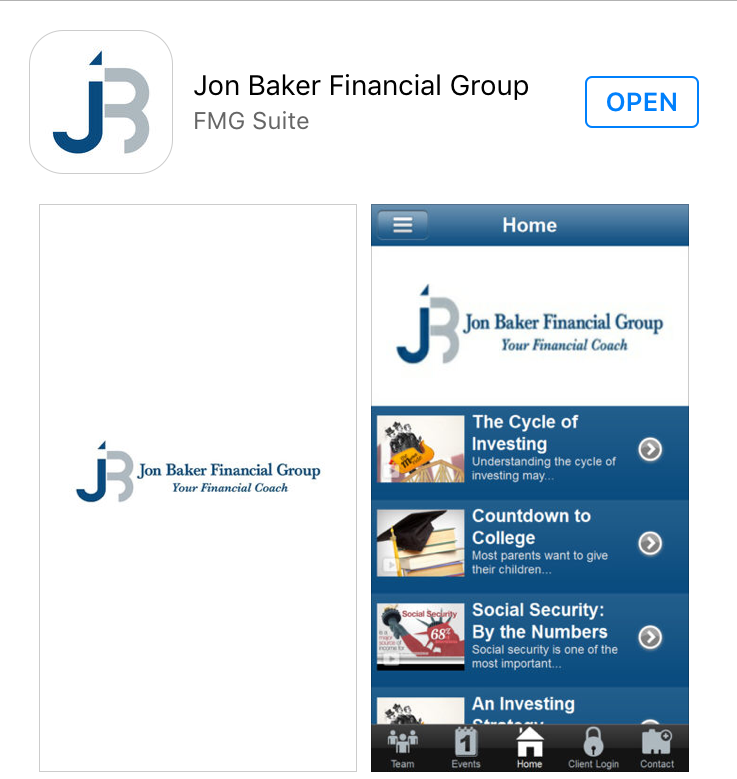 Enter: "Jon Baker Financial Group" to find the APP or click on the App Store or Google Play Icon. Securities and advisory services offered through Woodbury Financial Services, Inc., member FINRA/SIPC. Insurance services are offered through Jon Baker Financial Group, Inc. Woodbury Financial and Jon Baker Financial Group, Inc. are not affiliated entities.